Chapathis are cooked on a tawa, whereas phulka is partly cooked in tawa and put on direct high flame. 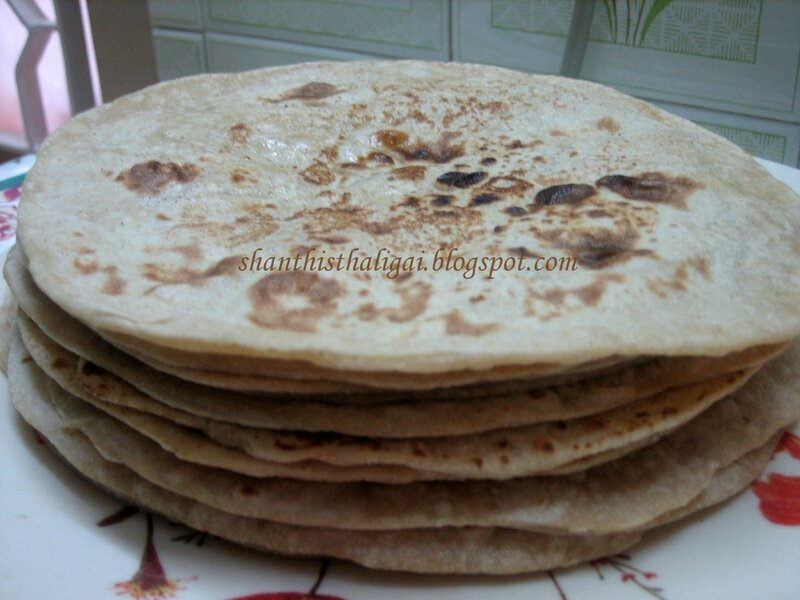 Many find it difficult to make and these simple steps can guide you to make chapathis and phulkas. Take an easy to knead bowl, put in the atta and salt, add water little by little and mix it to a medium-soft dough. Knead well with your palm and fist it till soft. Keep aside for 20-30 minutes. Make small balls out of the dough. 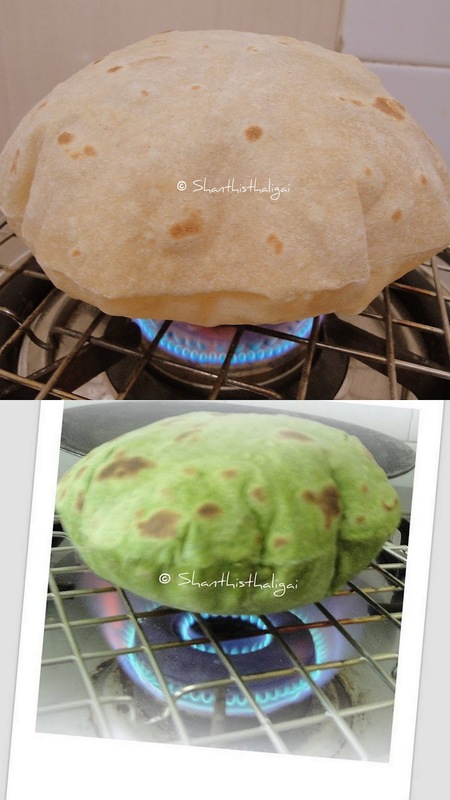 Take a ball, dust it with a little flour(atta), and roll it out to a chapati. Meanwhile, heat a skillet and when hot, place the rolled chapathi on it. When the colour changes slightly, turn it to the other side. When you see small bubbles forming on this side , turn it again. Allow it to raise by pressing it gently with a clean towel. When cooked take it out from the skillet and brush it with ghee. Serve hot. For phulkas: Heat a skillet and when hot, place the rolled chapathi on it. When the colour changes slightly, flip it to the other side. 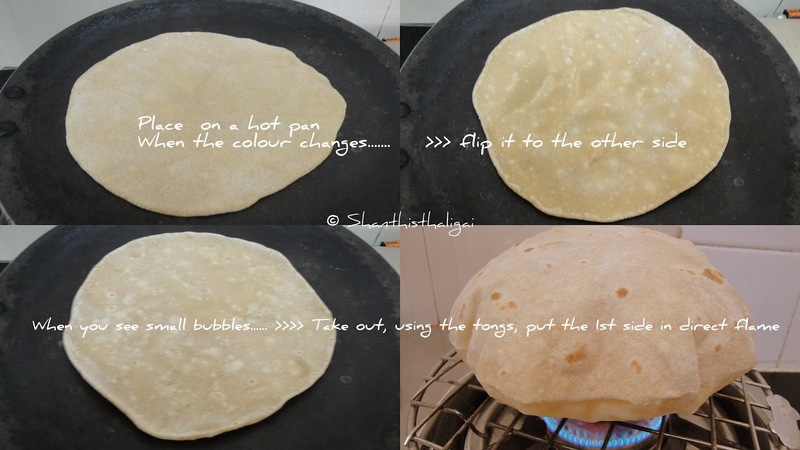 When you see small bubbles forming on this side, take out using the tongs and put the first side down on the roti grill which is placed on direct high flame OR you can put it directly on open flame using the tongs. It puffs up beautifully, no need to roast the other side, but you can if u wish to. yummy and so green tempting Bhindi masala and the phulkas.Shanti I am hungry after looking at the picture.the bhindi masala looks delicious. These chapattis will be so good with the bhindi masala.